In this post, I’m going to detour from my previous posts about pioneering families so that I can bring the role of the Florida East Coast Railway into the picture. Because history is not a popular subject to read about, the vast majority of people now living in Dade County have no idea how important the Florida East Coast Railway was to the development of this part of Florida. When we have a visitor at the Museum, one of the displays that I direct their attention to is the one about the FEC. 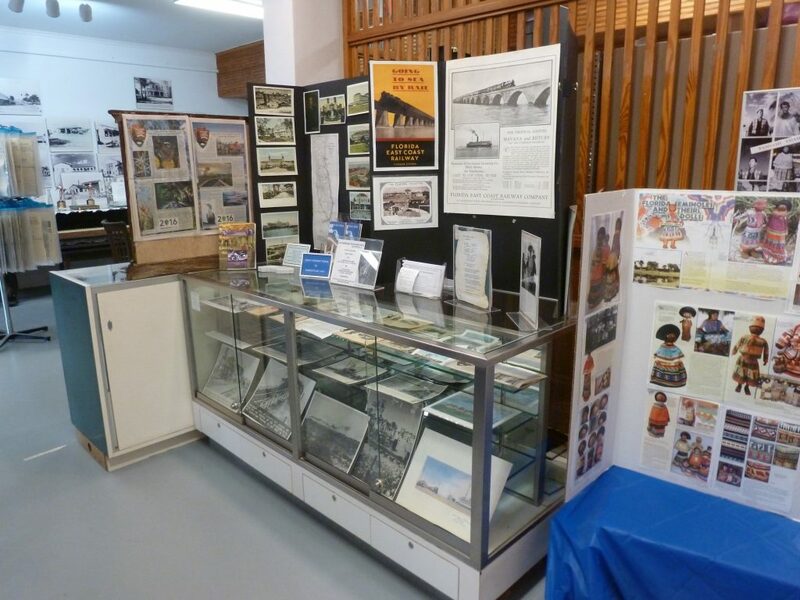 While they are looking at the display, I tell them that the building that houses the Florida Pioneer Museum in Florida City was the station agent’s house, built in 1904 by the Florida East Coast Railway and that it was moved from Homestead, where it was located on S. Flagler Ave., in the mid-1960s. If they are intrigued about the subject, we direct them to two books on the railroad, both available from Amazon and other booksellers: “Speedway to Sunshine: The Story of the Florida East Coast Railway, by Seth Bramson (revised edition, published in 2003) and Florida’s Great Ocean Railway: Building the Key West Extension, by Dan Gallagher, published in 2003. The first book is by Mr. FEC, Seth Bramson, and tells the tale of the FEC from the beginning. Mr. Gallagher’s book is a detailed and fascinating history of the construction of the Key West Extension. Many visitors are under the mistaken impression, because they learn about the magnificent hotels that Flagler built in St. Augustine, Ormond Beach, West Palm Beach and Miami, that Flagler built his railway for tourism. That is not true: Flagler built his railroad as part of his program to develop the east coast of Florida. Henry Flagler, along with John D. Rockefeller and others, were the founders of Standard Oil and that is where Flagler’s fortune came from. If you’d like to read a very interesting history of Standard Oil, I’d recommend that of Ida Tarbell – she pulls no punches. Flagler had already built his fortune by the time that his doctor recommended that he take his wife, who was seriously ill, to Florida which, with its warmer climate, might be helpful in her recovery. Unfortunately, that didn’t help and his wife died in 1881. But Flagler had seen Jacksonville and saw a new business venture to embark upon: that of a real estate developer. In short order, Flagler built the Ponce de Leon Hotel in St. Augustine and bought three small railroads, improving them by converting them to standard gauge trackage. His railroad reached Daytona by the spring of 1889. Seeing the development to the north of them, landowners south of Daytona began to inquire of Flagler when he would extend his railroad further south. That began in 1892, when Flagler obtained a charter from the State of Florida which granted him permission to build his railroad all the way down to Miami. As far as I know, no one has written a definitive account of how Flagler built his railroad from Daytona down to Miami. However, there is an excellent article, Henry Flagler and the Model Land Company, published in Tequesta in 1996, by William E. Brown and Karen Hudson that goes into considerable detail about the land holdings of the Flagler System and how they came to be. I found it fascinating reading and would encourage readers of this post to read the article – it explains an awful lot that counters the romantic notion that Flagler built his railway for tourism. In short, Flagler was the last of the late-19th century robber barons. He came to Florida to make money and for no other reason. His railway provided a means for settlers to reach their homesteads and to market their produce. The Key West Extension was built for trade with Cuba and Latin America, not for tourism or any other reason. By importing pineapples from Cuba, with unfavorable tariffs for local producers, the FEC drove pineapple farmers in Dade and Monroe counties out of business. Flagler and his lieutenants were hard-headed businessmen who wheeled and dealt for the most favorable terms for their ventures. That should be abundantly evident to anyone who has a passing familiarity with the Florida East Coast Railway. Unfortunately, it is a story that many do not know. 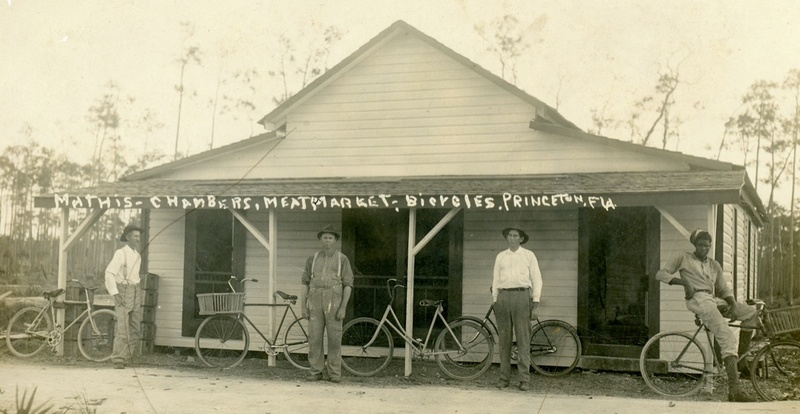 A very large number of the early settlers in South Dade County were involved in some way with the FEC, if only as their only means to get their produce to market. An objective account of the FEC’s cut-throat business practices has yet to be told. There are a number of hints about the subject in the accounts about early pioneers that I’ve read so far, but no one, to my knowledge, has put them together to shed some light on the subject.